Elliott Connie, MA, LPC is a psychotherapist that practices in Keller, Texas. He has worked with thousands of individuals, couples, and families applying the solution focused approach to help them move their lives from the current problems towards their desired futures. He is the founder and Executive Director of The Connie Institute, an organization that conducts trainings to help clinicians to master the Solution Focused Approach in their work as well as developing training materials and conducting research. He is recognized around the world as a leading author as well for his speaking nationally and internationally with events in places such as throughout the United States, Australia, New Zealand, South Africa, Russia, Switzerland, England, Poland, Sweden, Denmark, Scotland, The Netherlands, Canada, and Asia training practitioners to apply solution focused questions and techniques in their work. 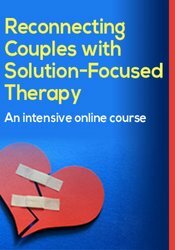 He has authored or co-authored 3 books including "The Art of Solution Focused Therapy", "Solution Building in Couples Therapy" and "The Solution Focused Marriage". He was mentored by noted authors and practitioners such as Bill O'Hanlon, Chris Iveson and Linda Metcalf.